It’s that time of year again – the days are colder and darker, the nights longer, and the holiday season is right around the corner. With the family all gathered in one place, coffee tastes and preferences are sure to clash. One person’s delicate Aeropress will be at odds with another’s bass-heavy French press. Someone abhors cream in their coffee; another won’t drink it without five sugars. Our goal with 2017’s Holiday Blend is to please them all. It’s a Mighty Good tradition at this time of year to offer a time-limited, festive blend that both reflects and accentuates the season. It’s in stores now, online and at our cafes too, ready to power you through the festivities to come. This year, we’ve tweaked the recipe a little to emphasize the spiciness and warmth that the drinker expects in a holiday coffee. 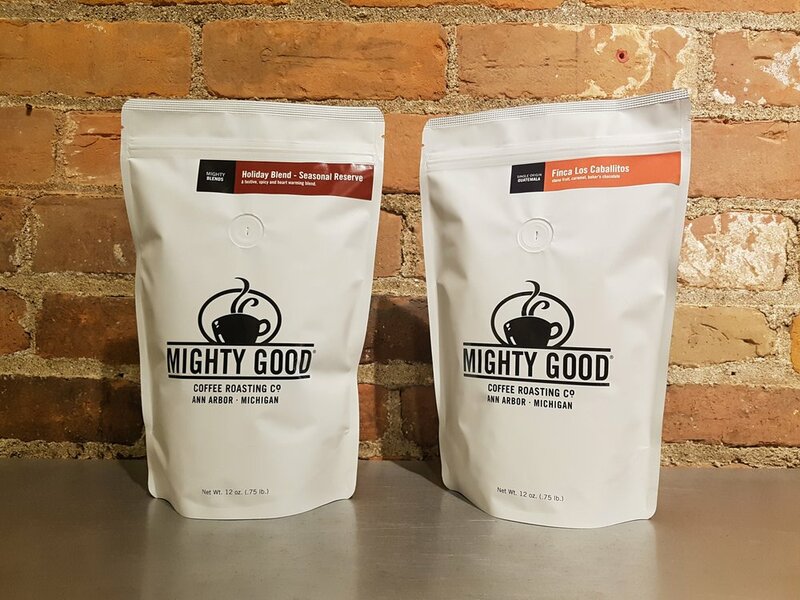 The blend consists of a pair of natural and washed Ethiopians — for structure, depth, spiciness and fruity sweetness — combined with a washed Guatemela that adds balance and clarity to the mix. We want your holiday coffee to excite but not overwhelm, to intrigue without excluding — as with all our blends, we expect our holiday coffee to work in a basic drip coffee maker as well as through a Chemex or Hario V60. We want to brighten up those dark winter mornings, amplify those family gatherings, and make the holiday season as festive and cheerful as possible. Another new coffee, exclusive to our cafes and online store, is the Guatemala Finca Los Caballitos. Los Caballitos is a 300-acre farm located in the municipality of San Gaspar Chajul within the department of Quiche, northern Guatemala. 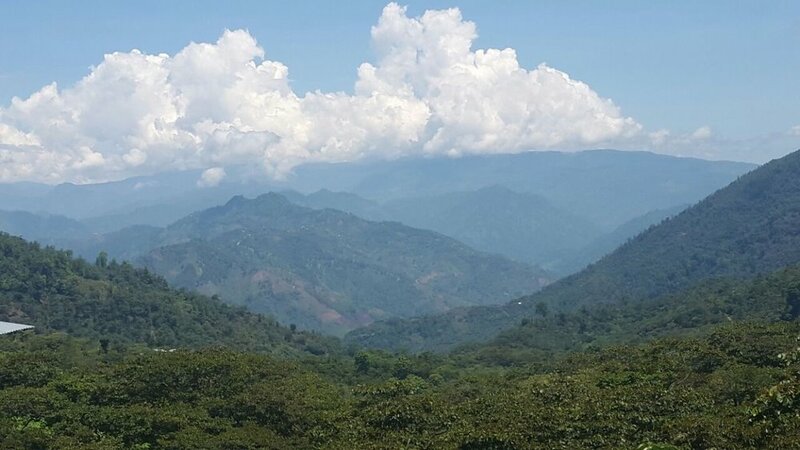 This growing region, which includes the towns of Santa Maria Nebaj, San Juan Cotzal, and San Gaspar Chajul, is also called the Ixil Triangle because of the beautiful landscapes and the preservation of the indigenous culture. Run by the brothers Oscar and Christian Schaps, who bought the farm in 2005, Los Caballitos has its own wet mill to allow meticulous quality control during processing. Sitting at an average altitude of 1500 meters, Finca Los Caballitos comprises both Caturra and Bourbon varieties. Parchment is transported to Antigua where it is stored and milled for export. We are very lucky to have been able to buy a few bags before it sold out, and we’ll be stocking it for the next few months. Flavor-wise, we have been getting a distinctive stone fruit punch right from the off, followed by a caramel-smooth body, a rich sweetness and a drying, baker’s chocolate finish. We’ve taken care to roast this particular coffee to highlight its complexity and subtle brightness, allowing it to shine in any brew method — we even have it as a single origin espresso at our Main Street location, where it is light and sweet, crisp and delicious. Be sure to subscribe to our email newsletter to keep up to date on all the latest happenings, including new coffees, special events and more. Sign up here.